Adding contacts to lists, interests, segments etc. 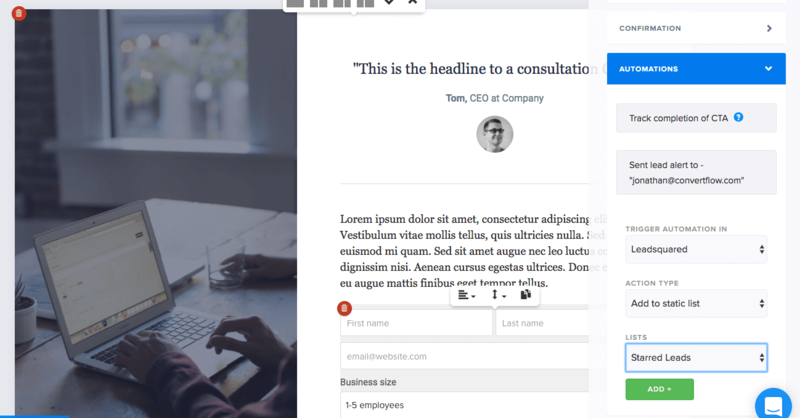 ConvertFlow's powerful automation system let's you trigger automations in Leadsquared on contacts, when they engage with CTAs, submit forms and visit your web pages. From the CTA builder, click on any form or button elements you add, scroll the options panel to the " Automations " dropdown , and choose "Leadsquared" from the first selection field. You can then choose the type of automation you would like to trigger. You can trigger Leadsquared automations when someone completes a goal in your Flow. 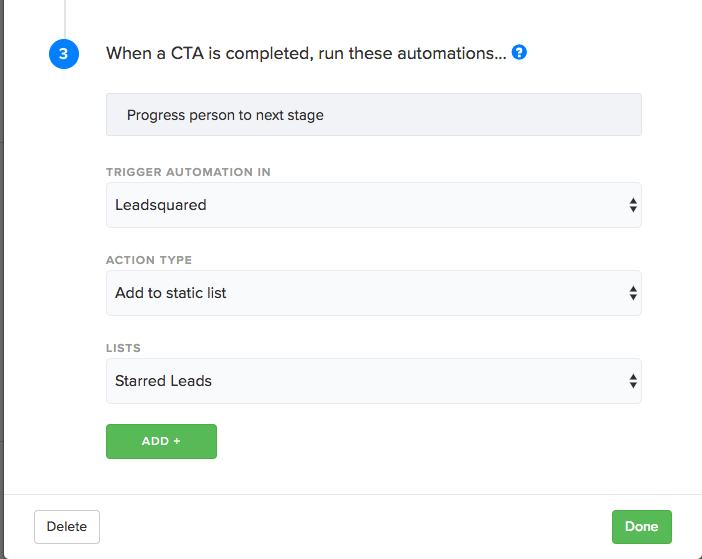 Whether it's a "Visit" or "CTA" goal, you can add automations to be triggered upon the completion of the goal.